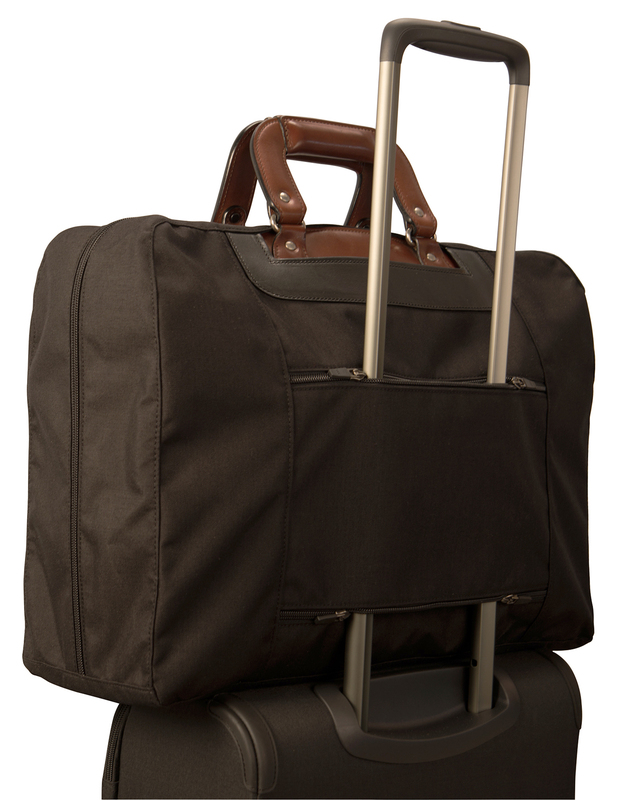 A new Made-to-Measure Bag cover allows you to slip your bag over the handle of your rolling suitcase; $375. A zippered sleeve on the back of the cover centers and secures your covered bag over the handle of your roller while protecting it from scuffs and soil. We make these covers to order to match the size of your Glaser Bag. To work from your bag without removing its protective cover, just zip open its top. 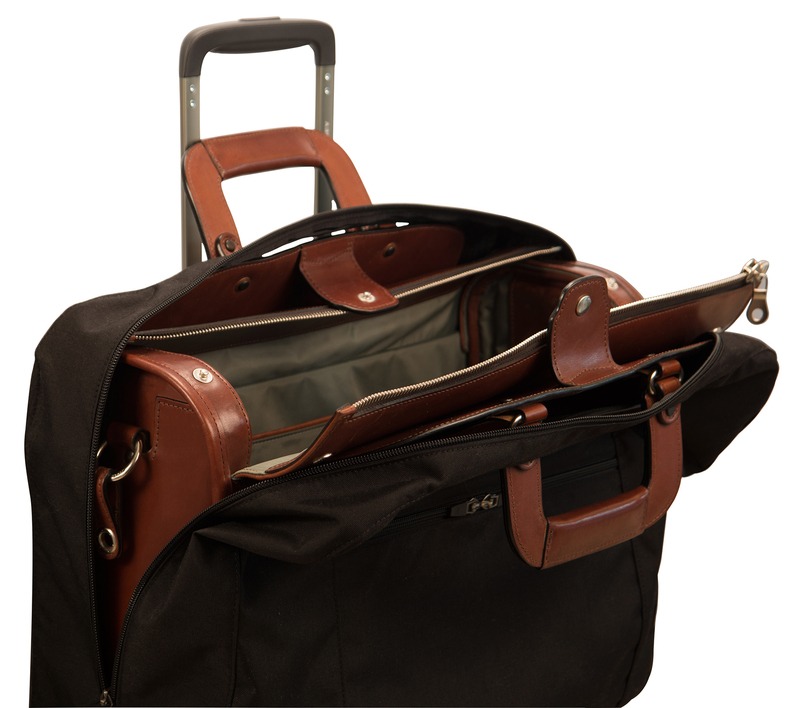 The folded cover stows within an Insiders® organizer when it’s not in use. 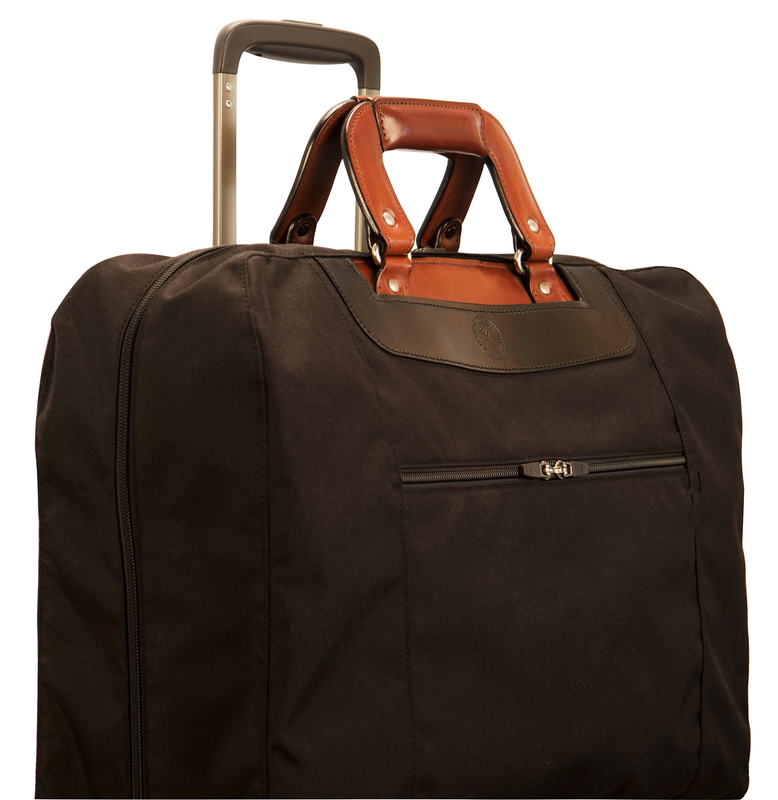 Please call 415 552 3188 or visit our studio to meet with us in our video showroom to learn more about our made-to-measure products for executive travelers.